Top 5 Reasons to BUY or NOT buy the Lenovo Ideapad 520s! 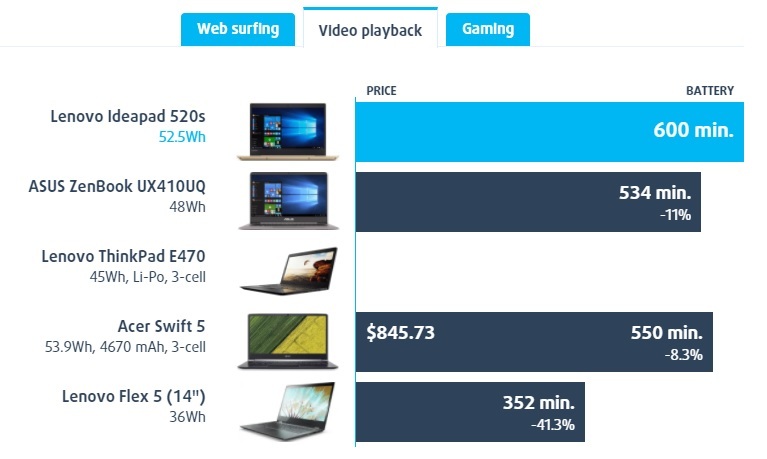 LaptopMedia.comHighlightsTop 5 Reasons to BUY or NOT buy the Lenovo Ideapad 520s! This time we are going to sum up the top 5 advantages and disadvantages of the Lenovo Ideapad 520s for those of you who consider purchasing the device. The detailed review can be found HERE. 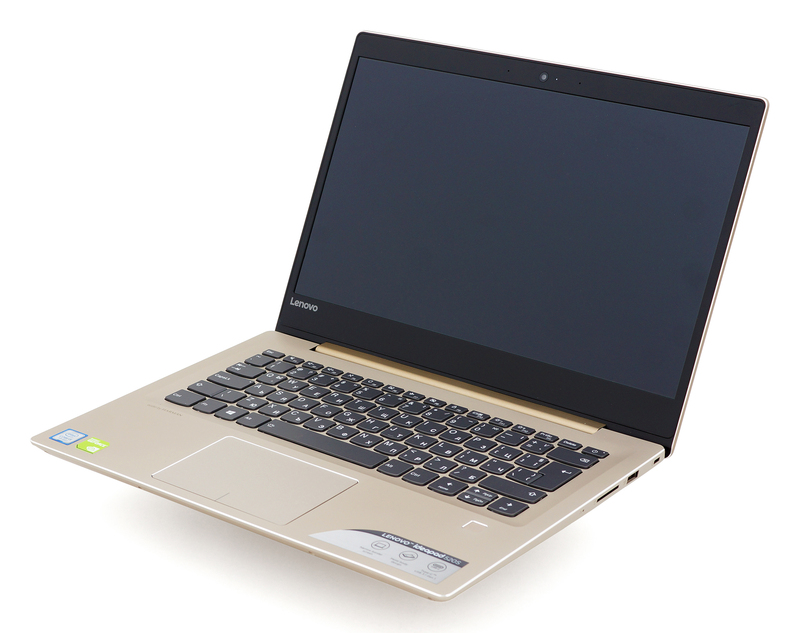 You can check all available configurations over here: http://laptopmedia.com/series/lenovo-ideapad-520s/. The first essential pro of this notebook is its battery unit that comes with a quite impressive capacity of 52.5Wh. It delivers plenty of time on a single charge – for example, you can browse the Web for up to 714 minutes or watch videos for up to 600 minutes. 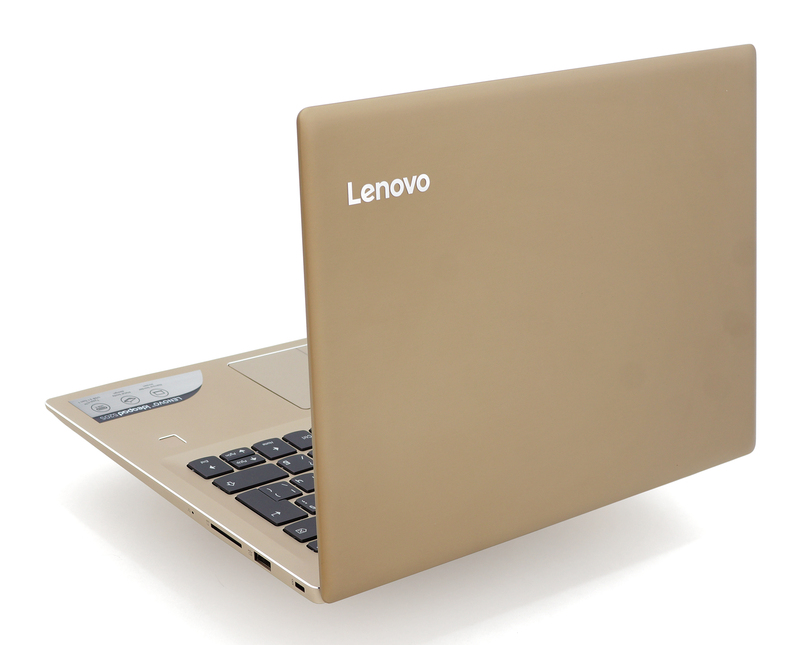 Although Lenovo Ideapad 520s doesn’t use only aluminum for its chassis, it feels robust and reliable. In addition, the lid made of anodized aluminum appears fairly solid, doesn’t give in under pressure and it’s pretty resistant to torsion. You can also open the notebook with one hand thanks to the good hinge design. Furthermore, the sturdiness doesn’t come at the expense of the portability – we think that 1.7 kg is a reasonable weight. 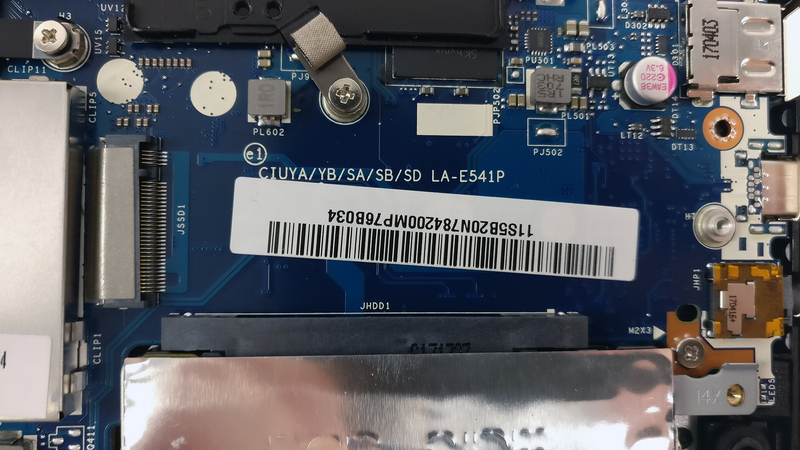 We were pleasantly surprised that a 14-inch laptop sports not only a 2.5-inch HDD/SDD bay but also an M.2 SSD slot. On top of that, you can configure your device with up to 16GB of DDR4-2400 memory on a single channel. 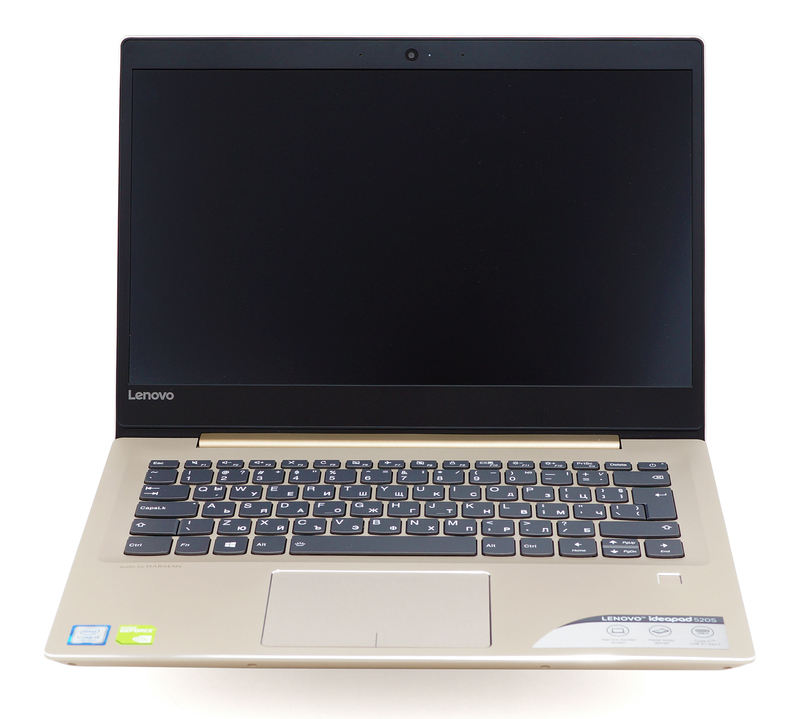 The tests we conducted show that Lenovo Ideapad 520s uses PWM for regulating screen brightness below 68% but this is certainly nothing to worry about as most users won’t go this low and the operating frequencies are quite high so you can use the laptop for long periods of time without experiencing negative effects. Of course, you can also install our custom Health-Guard profile which not only eliminates PWM but also reduces the harmful Blue Light emissions. 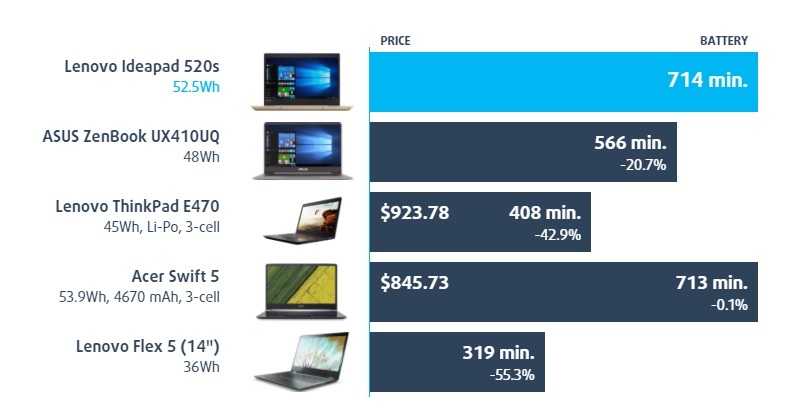 The only significant drawback is that Lenovo Ideapad 520s covers just 52% of the sRGB color space and also the maximum brightness won’t be sufficient for comfortable outdoor use.